When is repairing a PC better than replacing it? Many computer owners have had an experience when they've been so frustrated with their machines, they've thought about simply chucking it out the nearest window. While not the most economical approach, this tendency does indicate that many consumers can become impulsive when it comes to technology. As a result, many consumers opt to get rid of their computers when simply replacing certain components could give them a like-new machine at a low cost. A recent article in the Buffalo News highlighted this predicament and spoke to a number of experts regarding the benefits of computer repair. For example, the report noted that oftentimes computers that are slowed by malware or rendered inoperative due to a hard drive failure can easily be fixed by local computer repair technicians. "Not that I’m cheap or anything, but it's so much better to have it repaired than buy new," Tim Shaw, an area resident who services his computers in Cheektowaga, told the news source. "It's so much more economical." The average PC can cost $500, with some carrying a price tag of more than $1,000. By comparison, the news source noted that the average cost of common PC repairs can be as low as $100 to $300. As a rule of thumb, the experts at the newspaper's MoneySmart column say that if repair costs less than one-third of the price of a new machine, it's worth fixing the computer, provided the consumer knows of a reputable business that can perform the service. 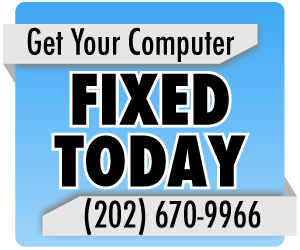 At Geeks On-Site, we specialize in all manners of PC and laptop repair, tackling tasks for our customers such as trojan virus removal, laptop screen repair and more. As such, computer owners could save money by turning to our experts, instead of a computer salesman.